Strawberry Milk: a blog for fabulously fashioned fetes. 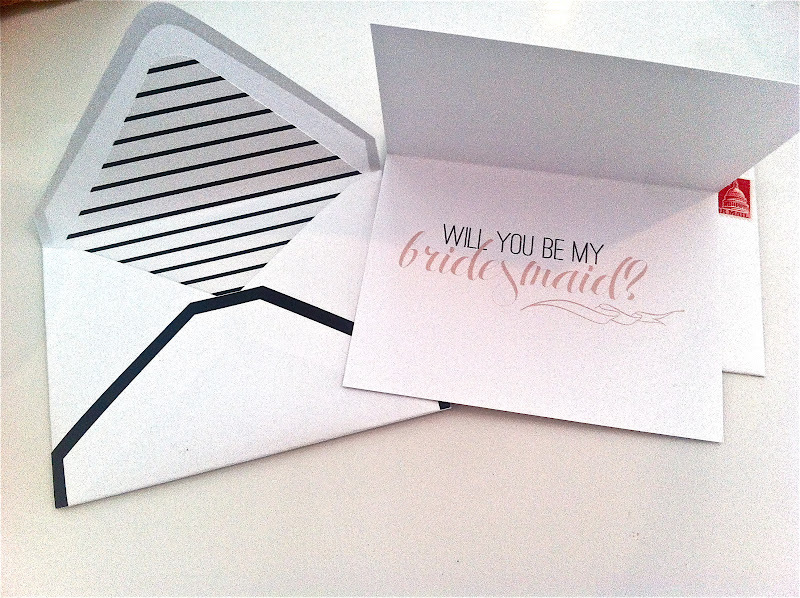 : Will You Be My Bridesmaid? For those of you that don't know, I am also planning my own wedding! That's right, the wedding planner is getting married. Eric and I got engaged on New Years Day in NYC and progress is coming in baby steps (we have been super busy working on everyone else's fab weddings around here :) However, I finally got a chance to mail these pretties out the other day! I worked with Little Bit Heart to custom make these adorable cards asking my girls to be a part of the big day. 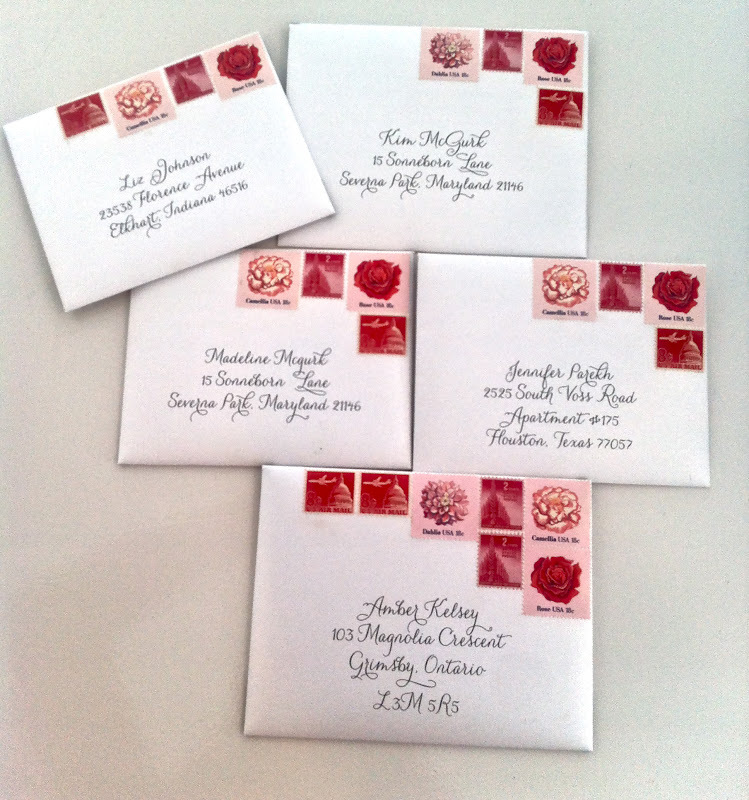 I topped it off with vintage floral + DC themed stamps in shades of pink and red. I wish I could have gotten better photos, but the iPhone will have to do! How will you pop the question to your bridesmaids? Thanks for the shout out lady- we loved working on these! The stamps are perfect! !